We fell in love with Cautious Clay's debut single "Cold War" and now it's back with a fresh remix from IAMNOBODI. 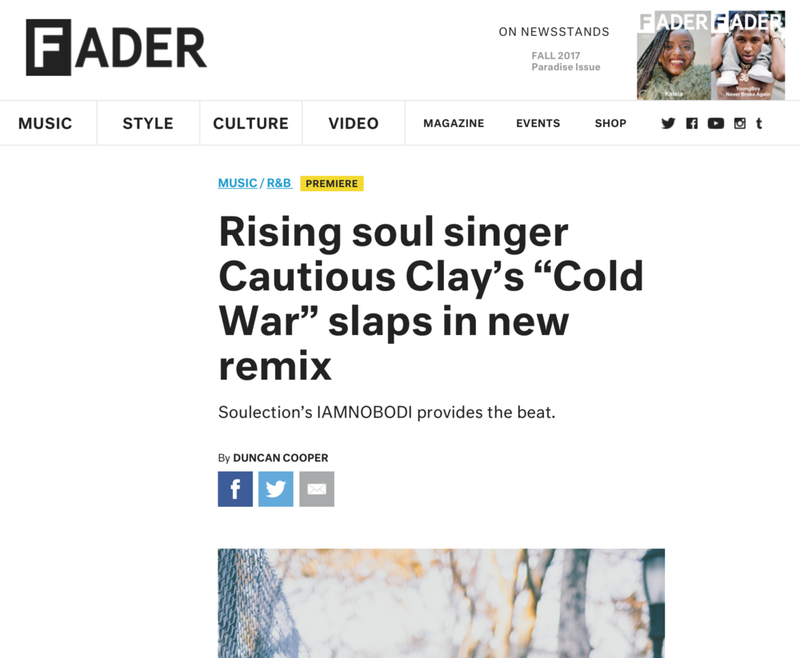 Staying true to Cautious Clay's sound, IAMNOBODI's remix incorporates a darker and heavier R&B influence. Raspy vocals lure you in and a perfectly laid soundscape keeps you hooked. The Fader says, "It's a lonely soul song that's only the more cutting when the beat hits hard."